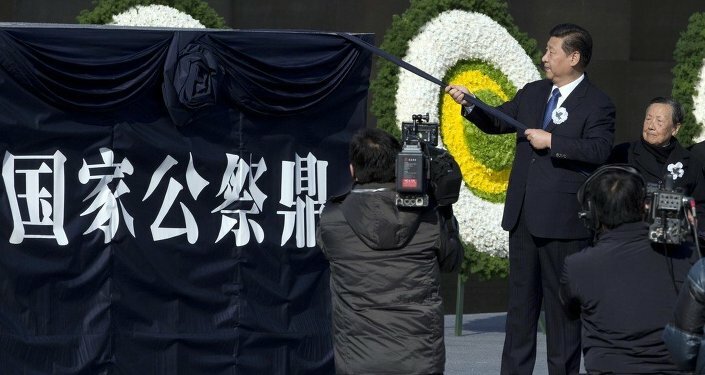 Japanese Chief Cabinet Secretary Yoshihide Suga said that Tokyo considers various options, including further cessation of funding of UNESCO, after the cultural organization included in its Memory of the World register several documents, presented by China, on the 1937 Nanjing Massacre. TOKYO (Sputnik) — Japan may terminate financial support for UNESCO, after the cultural organization included in its Memory of the World register several documents, presented by China, on the 1937 Nanjing Massacre, Chief Cabinet Secretary Yoshihide Suga said Tuesday. “We consider various options, including further cessation [of funding],” Suga said at a briefing in Tokyo. Previously, the Japanese Foreign Ministry expressed regret that the documents presented by China were included in the World Heritage list, despite a lack of agreement from Japanese authorities. Tokyo argues that the documents are based on biased views and the Japanese government doubts their reliability and authenticity. UNESCO (United Nations Educational, Scientific and Cultural Organization) regularly updates lists of cultural and historic heritage to preserve for future generations.